Adaptive Architecture. Tectoniks delivers self-erecting pavilion as part of multi-million pound restoration of historic hall and grounds. 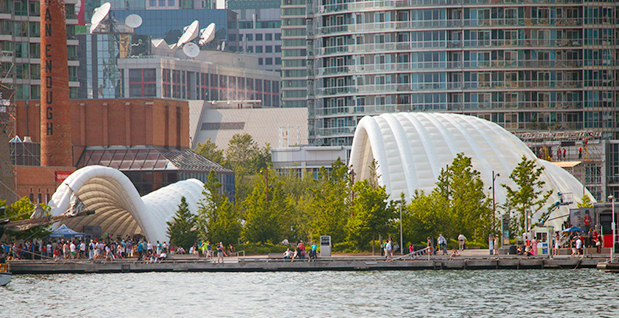 We are thrilled to announce that Tectoniks has won the ‘Unusual Venue of the Year Award’ at this year’s UK Event Awards for the pavilions we built for Ontario’s Celebration Zone at the Pan American Games 2015. The awards took place last night at a black tie event at the London Marriott Hotel in Mayfair. The UK Event Awards recognise and reward the very best of Britain's events industry and are open to event organisers, suppliers and marketers. This year’s winners were selected by an elite panel of judges which included Emma Barrow, head of events at Somerset House; Barnaby Hooper, commercial director at The O2 and L’Oreal’s head of events, Alison Williams. The 2015 UK Event Awards was supported by EFX, JLA and Exhibition News as well as Blitz GES and EventsTag.